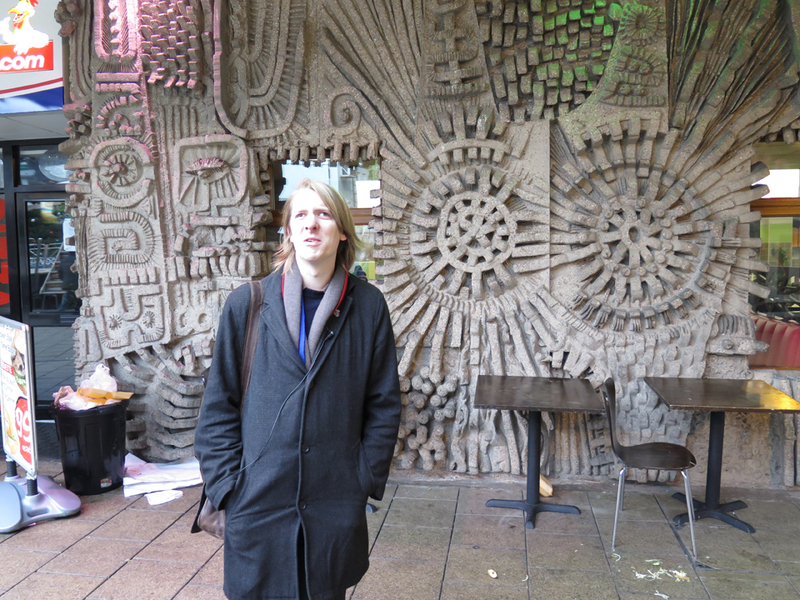 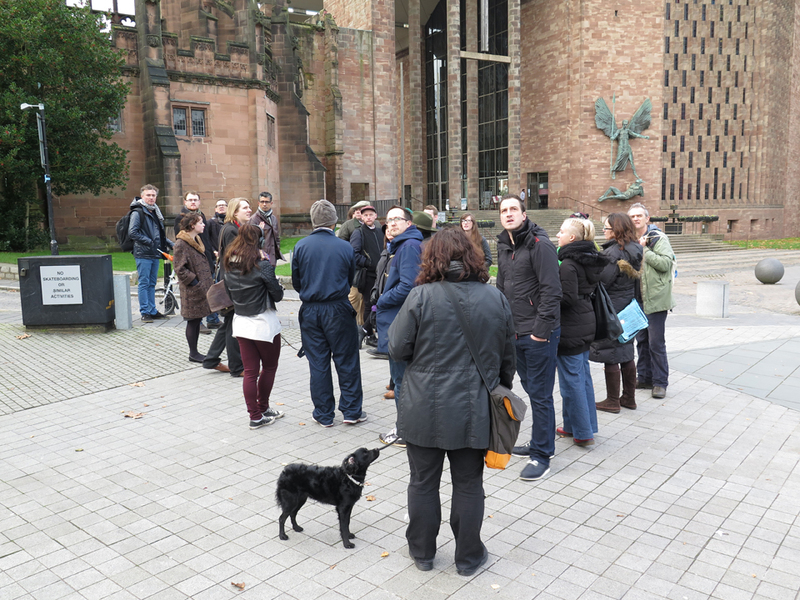 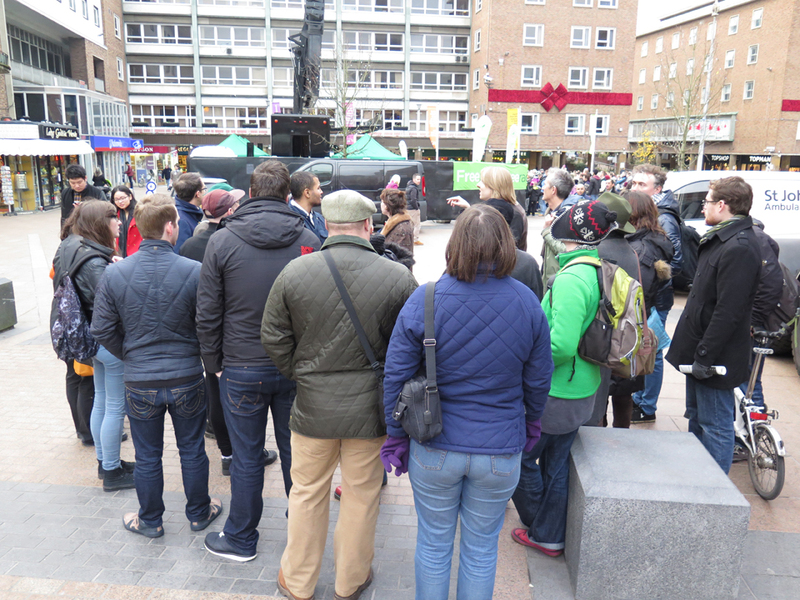 Owen Hatherley guided a walking tour around Coventry City Centre. 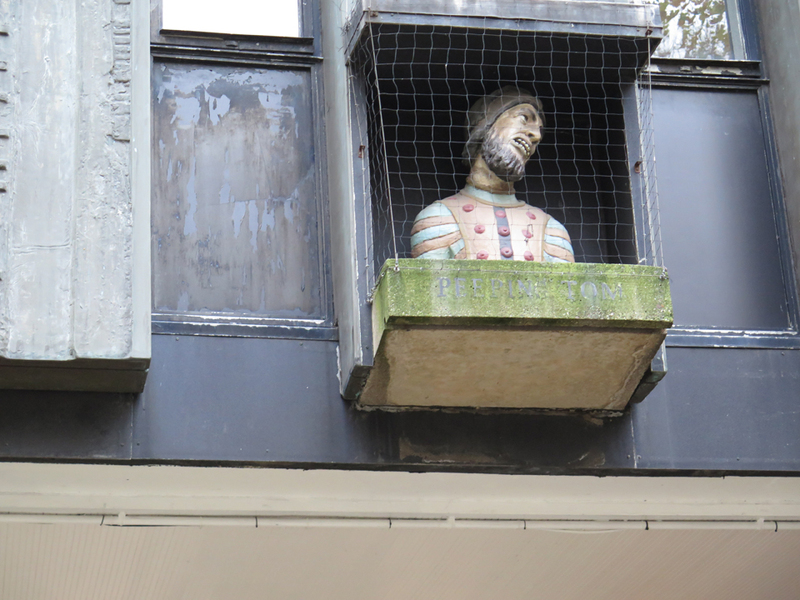 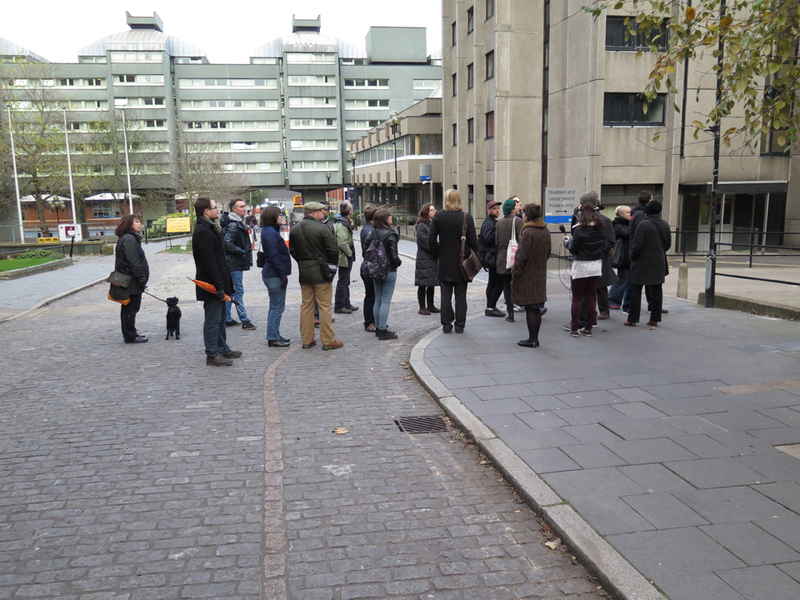 The tour unravelled Coventry’s socio-political, industrial and cultural histories through sites of architectural interest. 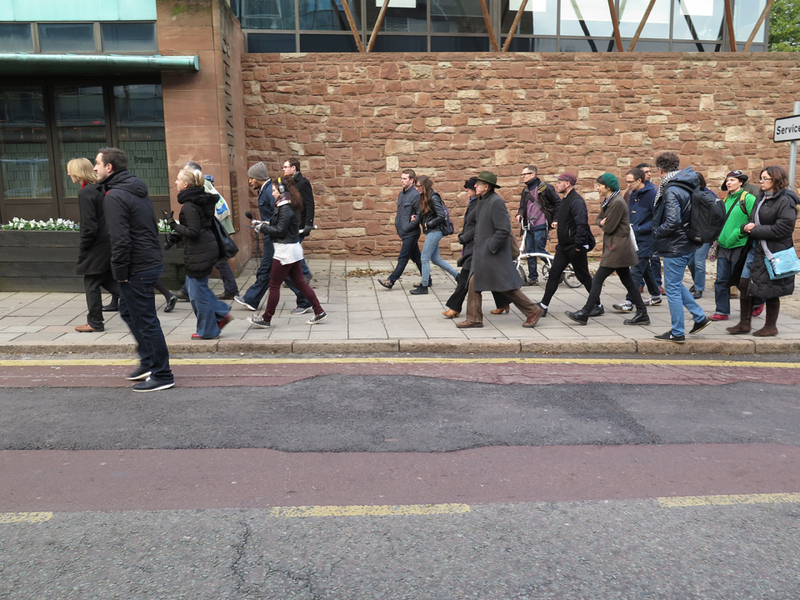 The walk explored the ambitious design of Donald Gibson’s original town plan and observed where and why the city has swerved and remained faithful to its Modernist ideologies. 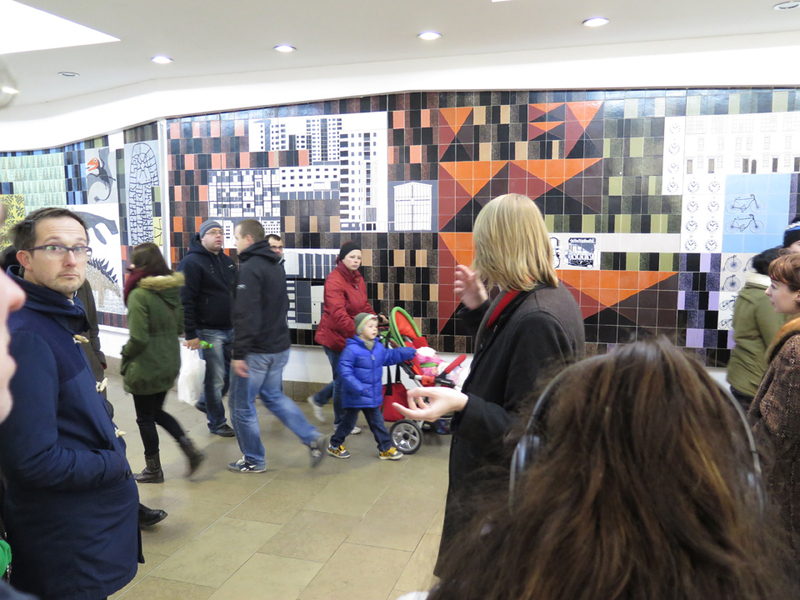 Following the remains and the ruins of the old city plan, Hatherley narrated the political desires invested in future-orientated architecture.